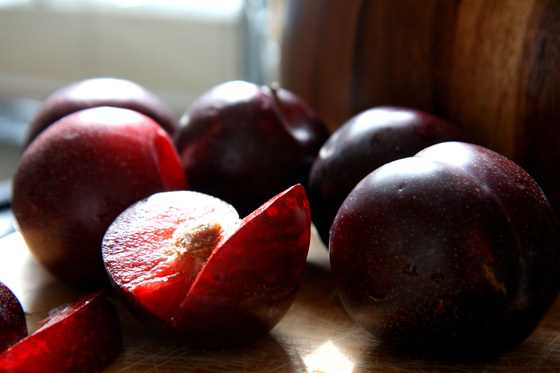 If you love red plums, you are feeling rather lazy and still want a nice dessert, this recipe is just perfect as it doesn’t involve chilling or rolling out the pastry. Slice some fruits and get your fingertips ready to rub some butter in to an easy healthy mixture, that’s all you have to do. Preheat the oven to 180°C Fan. Line the base of a 20 cm (8 inch) round spring-form cake tin with baking parchment and grease the sides with some butter. 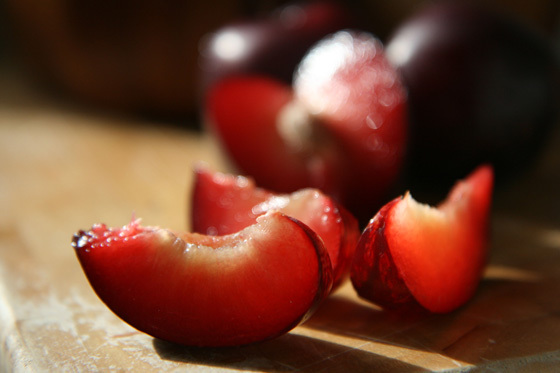 Halve the plums, discard the stones and cut them in to 8-10 slices. 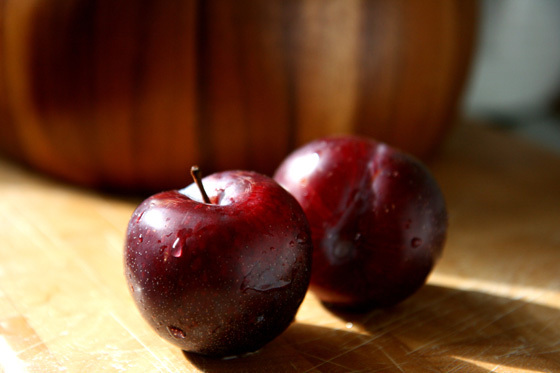 Put the plums in a bowl, add two tablespoons of sugar, two tablespoons of corn starch and two tablespoons of lemon juice, mixing well. In a mixing bowl sift together the flour and sugar and mix until thoroughly combined. Add the beaten egg, the diced butter and the lemon zest. 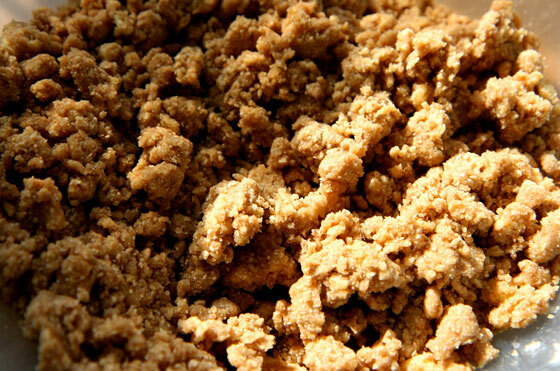 With your fingertips, quickly rub the butter into the mixture, until a crumbly dough is formed. 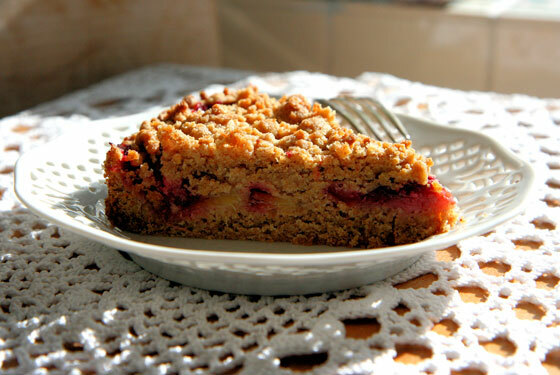 Using slightly more than 2/3 of the crumble mixture, line the base of the cake tin just using your fingers and then take the dough 2 cm of the way up the sides of the prepared tin, pressing firmly into place. 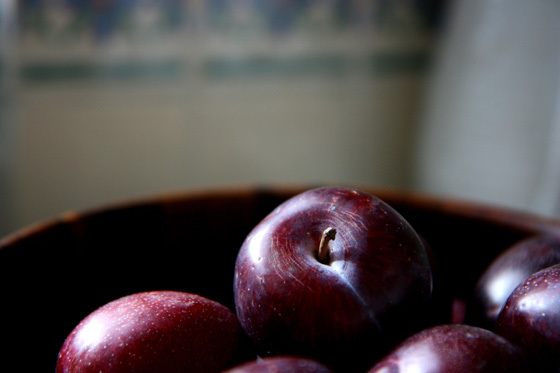 Arrange the plums in the tin to form a rose pattern, beginning at the outside and working your way in. 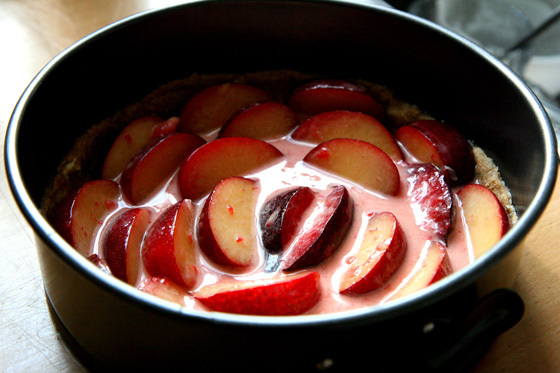 Spoon over them their own juice and sprinkle the rest of the crumb mixture evenly over the plums. Place it in the oven for about 35-40 minutes until lightly golden. Leave to cool for about 30 minutes before removing from the tin to a plate. Dust with icing sugar if you like and serve warm or at room temperature. To get a lovely friable tart make sure that you rub the butter in to the mixture pretty quickly, preventing to become warm. 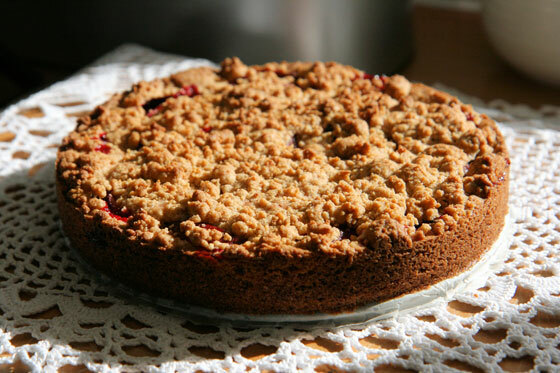 I love to serve this tart with a scope of ginger ice cream (my English serving suggestion) or with a nice glass of sweet Cannonau di Sardegna liquoroso, a fortified wine which matches very well desserts with baked fruits (….and my Italian serving suggestion).